Looking for an excellent bubbly to ring in the New Year? Prosecco Superiore fits the bill, high quality wines for good value, these DOCG beauties have personality plus. Why these wines are different from regular Prosecco, check out my previous article, The VIP Sparkle of Prosecco Superiore, for all the reasons these wines should be in your fridge for the big NYE bash. But don’t stop with the holidays, these sparkling wines are perfect all year long, with or without food, and easy on the palate and pocketbook. Most of these wines retail for under $20, except for the Cartizze, which is just a bit more. ​The Dal Bianco family has built the Masottina brand over 70 years in the Conegliano area, and its their dedication and investment in the best vineyards and production methods that has brought them acclaim. 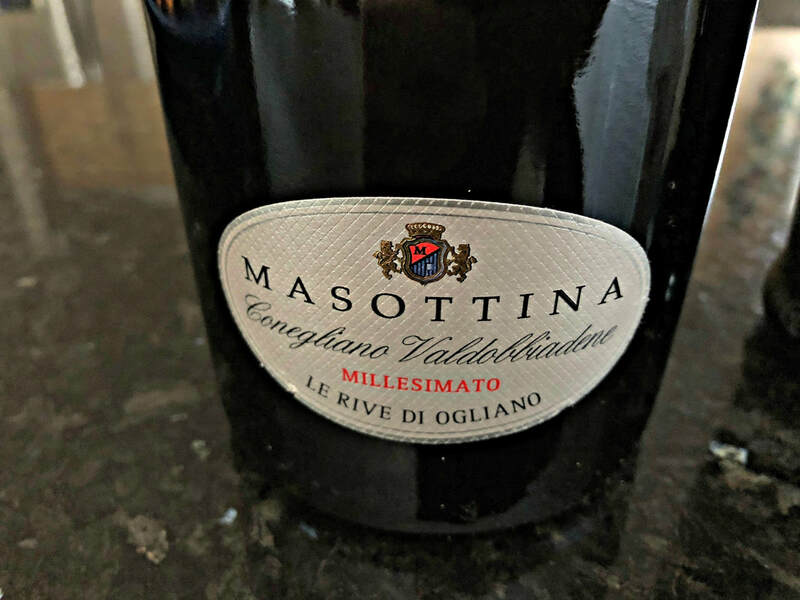 This Rive di Ogliano Extra Dry comes from one of the best sites in the Conegliano Valdobbiadene region, and was awarded First Place in Decanter’s “Top Ten Prosecco” rankings. A vintage sparkler, the Extra Dry designation actually means it’s sweeter, but that doesn’t mean it’s sweet, just more residual sugar that lends a silky body to the wine. Fresh citrus balanced with a riper note of pear and melon, a whiff of floral, and accents of quince and candied ginger, makes this bubbly something special. Aromatic, with fine bubbles, this is a very good wine. ​Veneto Hills is a family-owned winery, situated in the hills above Venice, that excels in the production of high quality Prosecco. Sustainably farmed and produced, the Zago-Gasparini family offers four Prosecco Superiore wines under the Tenuta 2Castelli label. This Extra Dry sparkler is very good. A persistent stream of delicate bubbles delivers aromas of white peach and tropical fruit, with an almond note, yet the palate is racy, with zesty acidity and green apple flavor, balanced with a creamy note on the finish. Although it started out a bit sweeter, it finished delightfully dry. 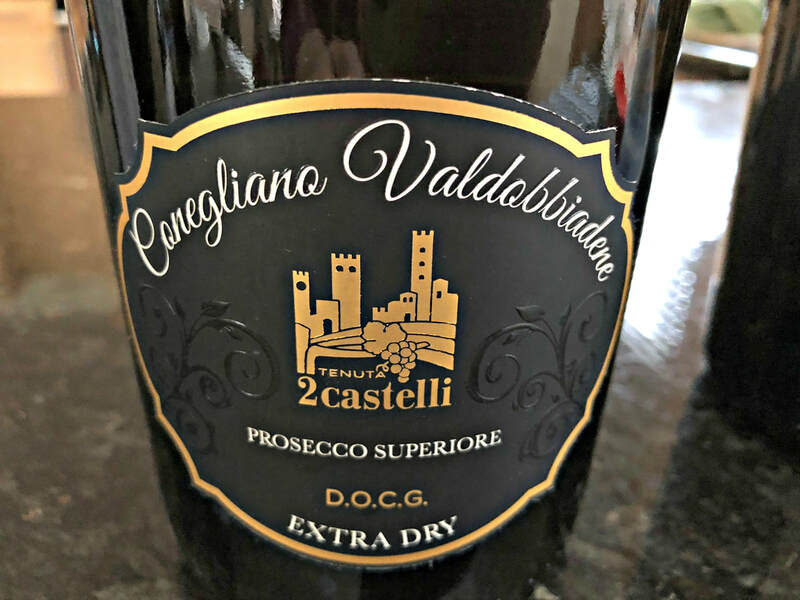 A Valdobbiane Prosecco Superiore, this wine is reflective of the many quality wines of Tenuta 2Castelli. ​The Ruggeri family has grown and made wines under the Le Colture label for over 500 years. 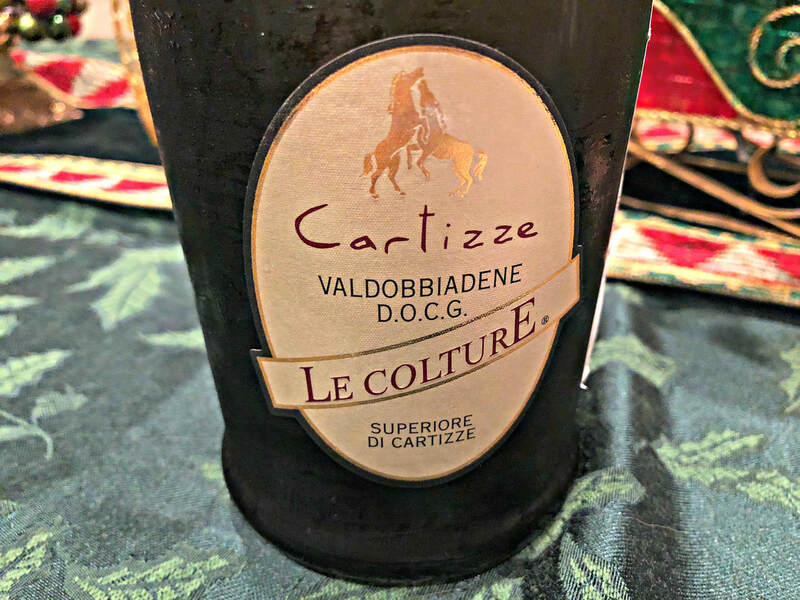 This fragrant sparkler comes from the very best vineyard, Cartizze, considered the “Grand Cru” of the region, a sweet spot of steep hills, climate, and sun exposure. Intense, floral and fruity, citrus, white peach, and green apple dominate the aromas and flavors. The creamy mousse and lively bubbles unveil the sweetest wine, the Dry style, which was not necessarily sweet, but more fat in its body, a lusciousness that was irresistible. Fantastic with rich and spicy foods, or fruit tarts, I found it hard to stop drinking by the glass until the bottle was done! This is a complex, captivating wine, which I found to be the best of the bunch I sampled. ​Val d’Oca is a large cooperative, with 576 growers farming over 1700 acres of vineyards in the region. 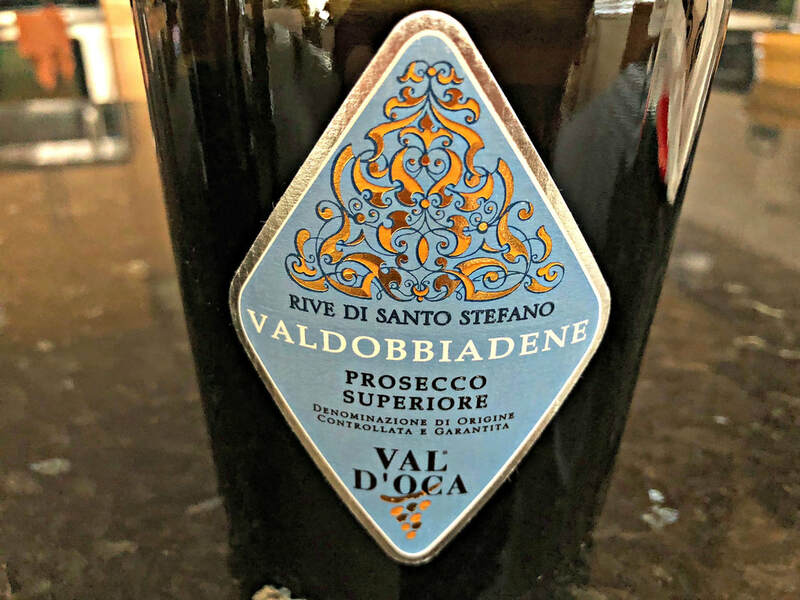 Produced from grapes harvested from the Rive di Santo Stefano, one of the top sites in the Conegliano Valdobbiadene, this is the driest bubbly of the group. An understated sparkler, delicate aromas of citrus, white flowers, and dried herbs highlight the nose. Faint bubbles reveal a crisp, high acid bubbly of citrus, apple and pear fruit, ending on a dry medium finish. Brut Nature has the lowest amount of residual sugar, which I found not as smooth as the Prosecco with more sweetness. This wine is more suited to be drunk with food, especially seafood. It's always a festive time with Prosecco Superiore, a wine for all seasons!